GOOD TIMES is designed for fun and relaxation. If have any questions, ask and I will reply! We have the most beautiful long range mountain views that you have ever seen are offered in this non-smoking, cedar chalet. Our four bedroom, three full bath chalet has areas to gather everyone and areas for your own space. This include three acres with a large flat play area, circular driveway and plenty of parking space. This Non-Smoking home will sleep two to ten in comfort. Each floor is designed for comfort, privacy and convenience. All living areas have breathtaking views!! Our home comes ready for your enjoyment. We have lots of games for indoors and out (horseshoes,etc). All linens, soaps,tissues, paper towels, napkins, spices, PAM and cooking oils are available to make your getaway much easier. Just come looking for a wonderful memory maker. You will be very close to town, on excellent roads(one turn from main Hwy 64/74),plenty of parking space, circular driveway, near the Flea Market, between the Ocoee and Nantahala Rivers for whitewater enthusiasts,close to Lake Hiwassee for fishing or boating, not far from golfing, but still eel the privacy of getting away from it all! With wrap around decking, maintained lawn service(scheduled around guests arrival), covered porch,screened in porch, plenty of rockers, outdoor furniture, large outdoor grill, gated deck, you can't help but have a Good Time! The main floor has a vaulted ceiling overlooking the Great Smokies and is tastefully decorated with leather furniture, game table, wireless internet, large flat screen TV, VCR, DVD, rockers, dining room including solid walnut table with antler chandelier, solid wood furniture throughout, very well equipped kitchen, a bedroom with queen size bed and full bath. Also, there is a family room, with a Vermont Cast Iron gas stove, TV,VCR, DVD with two bedrooms and large full bath. One bedroom has a queen bed, the other has two twin trundles (sleeps 4). Both have doors to the full bath. The romantic loft bedroom comes complete with king size bed, jetted tub, and fabulous mountain views from the oversized windows. Our mattresses and furniture are so comfortable that we have comments regarding them in our guestbooks and inquiries as to where they can be bought! This home is perfect for family reunions, Spring Time in the Mountains, Summer Fun, Fall Leaf Changing, or that special occasion. Thanksgiving, Christmas and New Years are very special at Good Times, as our past visitors have stated. Please reserve early for summer or holidays. Call us or email today for more information.I teach school and will email you or call you after my school day ends. Please leave a message. Good Times is very special. WE WILL REPLY and THANK YOU for your interest! We've had many wonderful comments regarding our mountain getaway, but the two nicest were that we had the most SPECTACULAR VIEWS of any place previous guests to our area had ever seen and that we had thought of EVERYTHING to make our place extra special! BOOK Early. Our rental rate includes all taxes. The cleaning is extra, but there are no hidden fees! Hello to all! My family lives in Mount Pleasant, SC. We’re from the panhandle of FL and Huntsville, AL. We love the Murphy area. It has gorgeous scenery and charm. Good Times is an easy drive to a wide range of activities! The entire area is gorgeous all year! We fell in love with the Murphy area when we took our family whitewater rafting years earlier. When we had the opportunity to purchase Good Times,we all were so excited. 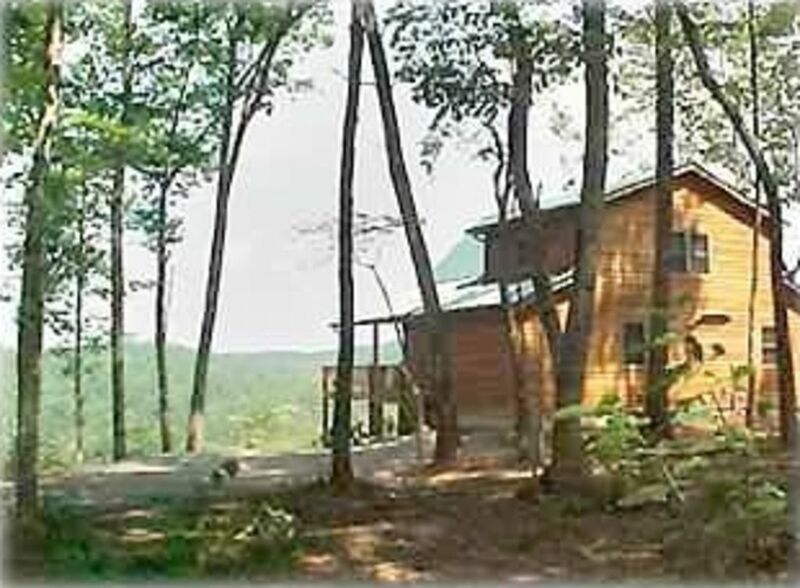 We built our cabin for families to gather, relax, and enjoy the majestic Smoky Mountains. There are so many gorgeous areas to discover all year. If you want to venture out, you have so many venues to see. The rivers are all around.This is a freshwater fisherman's paradise! Lakes abound for water activities. We love the fact that you have grocery stores, restaurants, golf or whatever you need within minutes, yet you feel very secluded. We like to think of Good Times as our own little sanctuary. Many have said they had plans to see this or that, yet they never left the house! Gorgeous views of the Smoky Mountains! We have a great parking pad and easy access circular driveway. 4 flat screen tv’s 2 very large! Great cable package! No satellite to go out during rainy weather! Our game room in the downstairs area is very spacious! Great experience and communication with the owners. Spacious cabin with everything you need and plenty of room to find your own space and relax. Thank you for opening your home to us. We had a great time! Booked this property for a family reunion.Wonderful house, perfect location, will definitely recommend it !!! Thank you. We love to hear that families and friends enjoy Good Times like we do! We really enjoyed our weekend and would come back again and again Goodtimes. Pictures on website don’t do justice to this beautiful cabin. We were lucky enough to be there when the tree colors were at their peak and the view from the deck was awesome. Comfortable, roomy cabin and well furnished. Thank you for your kind words. We are so glad that you all enjoyed Good Times! Enjoy your new home. This weekend getaway was absolutely wonderful. Even though it rained all day Saturday just being able to kick back and enjoy the rain and acorns hitting the roof was so relaxing. Enjoyed working puzzle on the large dinning room table and drinking hot chocolate. This home is so spacious, well furnished, and enjoyable. Cannot wait to return. Thank you. We always appreciate hearing that you all got to enjoy yourselves! That's what Good Times was built for! Spacious, tranquil cabin with the most superb mountain views! To start off, Margie is so very sweet and helpful. If you ever have any questions about the cabin, or the area, she is more than happy to answer in a very timely manner. "Good Times" is our FAVORITE place to stay when we need a mountain getaway. The cabin has everything you need to get you started, just in case you don't want to venture to the store upon your day of arrival. All you need is your dinner to cook. There are plenty of pots & pans, as well as utensils. The porch has some of the most amazing mountain views. My family would just sit on the porch for hours taking in all the beauty. It is very private, and peaceful. We have stayed at a lot of different places thought the years, but "Good Times" is still our favorite. I would definitely recommend it to anyone looking for a tranquil getaway. You two are so kind to take the time to write such a wonderful review. It's always nice when others love Good Times as much as we do. We try to keep Good Times well stocked, clean and comfortable. Thank you! There is a $120 cleaning fee per rental. We often have couple's who enjoy Good Times. A couple's cleaning fee is $100. Thank you!